The decay and failures of Research in Motion have been well documented by news organizations, including us, for the last few years. 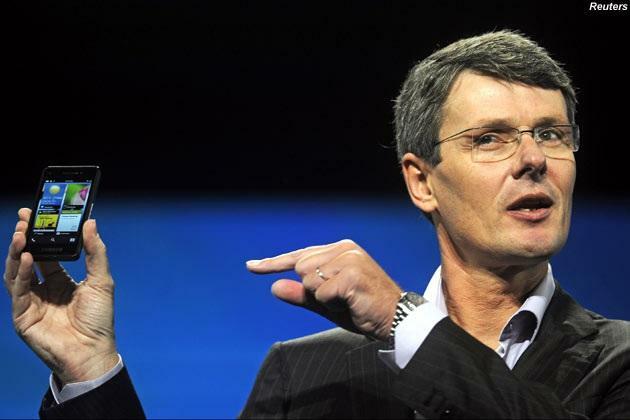 Feeling beaten into a corner, RIM CEO Thorsten Heins took the unusual step of defending himself and his company in an editorial for The Globe and Mail, a Canadian publication. In it, he talks about the challenges facing RIM’s BlackBerry phones, but assures everyone that it’s about to change everything in the smartphone world with major innovation. The CEO did not reveal many details about BlackBerry 10, but did say that it “will connect users not just to each other, but to the embedded systems that run constantly in the background of everyday life – from parking meters and car computers to credit card machines and ticket counters.” It sounds cool, but Android and iOS are also aiming to do the same thing. Lastly, he makes the point that many of those who criticize BlackBerry 10 have done so without actually trying it out. To that end, he’s probably right. Though I have seen the BB 10 Developer Alpha device in person and touched it, RIM executives and PR agents limited what I could and couldn’t play around with. At the time, I noted that it appeared woefully unfinished for a platform launching in late 2012. As it turns out, I must have been right because RIM delayed BB 10 into early 2013 in its recent earnings call. So, does RIM have a chance? Yes, of course it does (as we noted when Heins first took over as RIM CEO), but its prospects fade the longer it takes to deliver on the promise of BlackBerry 10.